Did Trump blink? Did undemocratic Dems win the 35-day standoff? On Friday, DLT announced a deal to reopen government for three weeks without having gotten congressional border wall funding. He vowed to build a “wall or steel barrier (in) predetermined high-risk locations” with or without congressional funding, saying if Dems don’t approve it by February 15, he’ll use executive power to address a (non-emergency) emergency. The Trump/Dem battle over whether to build or not to build a border wall has nothing to do with national security, nothing to do with stopping criminal gangs from entering the country, a DLT perpetuated myth, nothing to do with stopping the flow of illicit drugs into the country. They pore in through all its borders, by land, sea, and air – supported by the CIA and Wall Street, profiting hugely from what’s gone on for decades, what politicians and major media never explain. Late Friday, Trump signed congressional legislation to reopen government, effective immediately, saying if Dems don’t approve border wall funding by mid-February, “the government will either shut down” again or he’ll act on his own to authorize funding by executive power. Battle lines remain drawn. Things came to a head for Trump over polls showing popular sentiment against him, his approval rating dropping below 40%, along with major US airport delays because many unpaid personnel called in sick and aren’t working, an untenable situation for travelers. A bipartisan conference committee will reportedly be established to debate the politicized issue – Trump demanding border wall funding, Dems opposing him for political advantage. An unnamed US official said Trump may authorize use of $681 million from Treasury forfeiture funds, $3.6 billion for military construction, $3 billion for Pentagon civil works, and $200 million of Department of Homeland Security funds for border wall construction. Dems will surely challenge him for political advantage if he moves this way – along with its continuing agenda to delegitimize, undermine, and weaken him overall, wanting him removed from office or defeated for reelection in 2020. With Dems controlling the House, the period ahead will likely be more tumultuous than what’s gone on since Trump’s election – a process he was supposed to lose, not win, the price for defeating media darling Hillary. 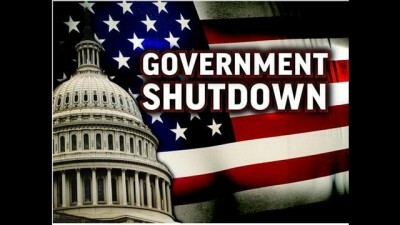 For now, partial government shutdown since December 22 is over at least until mid-February. What then remains to unfold – Dems so far ahead in the battle for political advantage, Trump weakened as planned.